It’s probably safe to say that the past year or so has been a resounding success for DC Comics. Not only did the Rebirth initiative do wonders when it came to boosting sales, but it also brought back classic elements to their characters’ enduring legacies that made readers who may have been disillusioned with the New 52 feel willing to once again climb aboard. With that, the publisher has proudly announced their latest endeavor, Dark Matter. No, it’s not related in any way to the SyFy series of the same name, but rather, it’s a new banner to release more artist-focused series by way of superstar creators. 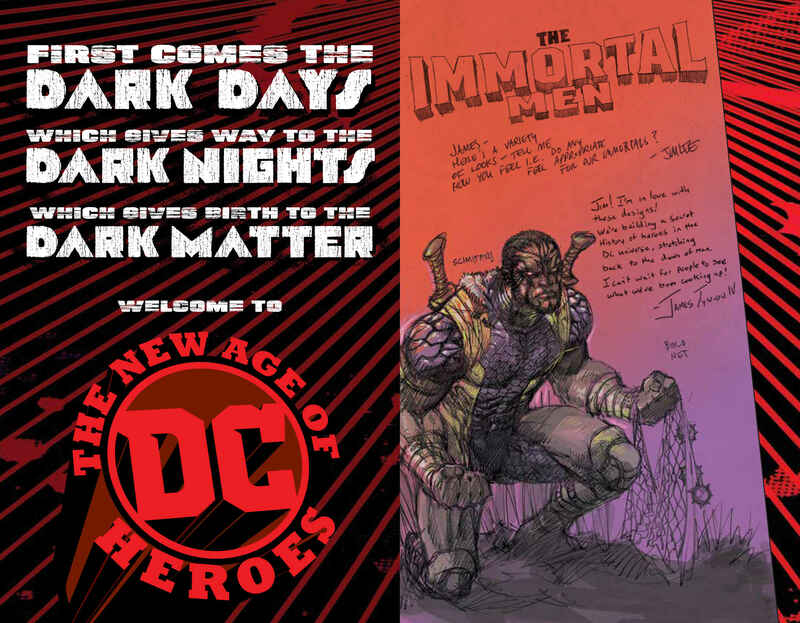 It’s quite fitting then that the event series by Scott Snyder and Greg Capullo, Dark Nights: Metal, be the book that kicks off the line in August. Other titles readers can look forward to include: Sideways (September), co-written by Dan DiDio and Justin Jordan and illustrated by Kenneth Rocafort; The Silencer (September), written by Dan Abnett and drawn by John Romita Jr.; Immortal Men (October), written by James Tynion IV and illustrated by John Romita Jr.; Damage (October), written by Robert Venditti with art by Tony S. Daniel; and, finally, New Challengers (December), a modern take on Challengers of the Unknown, written by Snyder with art by Andy Kubert. Stay tuned in the coming months for more news pertaining to Dark Matter, be it artwork or other books to be added to the line. We’re not sure yet when exactly DC will start revealing more, but something tells us that San Diego Comic-Con will bear some generous fruit.